"40 years of the CPA Prison Arts Program" is comprised of drawings, paintings, sculptures, photographs, documents, and artifacts from the Community Partners in Action's permanent collection that vividly illustrate the work and history of this important project. 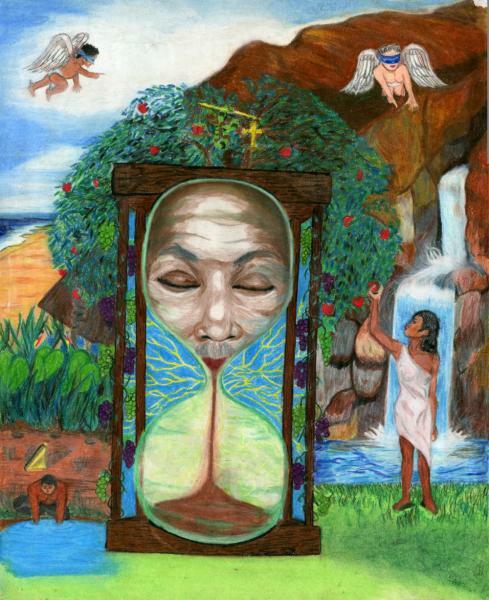 For the past four decades, the Prison Arts Program has advocated for art and artists in prison, organized in-prison workshops and an annual show open to anyone incarcerated in Connecticut, maintained a travelling permanent collection, published and distributed a journal of art and writing, and collaborated with other organizations, agencies, and individuals. The program works to positively and constructively change the prison environment while encouraging empathy, self discipline, work ethic, self esteem, technical and communication skill development, thoughtfulness, critical thinking, and calm. Join us for the opening reception of this important exibition, while will be on display at the Hartford Public Library from March 15th to April 28, 2019. Special thanks to Bank of America for its support of the 2018-2019 ArtWalk season.